Signed Print. Matted, Sent in Disposable Frame for safety. 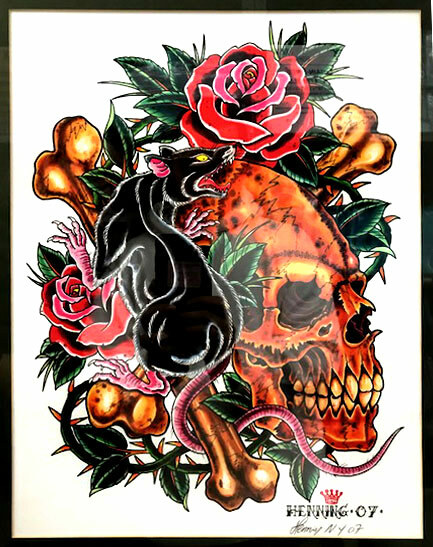 "Skull Rat Rose" # HJ-2 $100 for Art, shipping extra. Overall Frame size including matting.16" x 19"